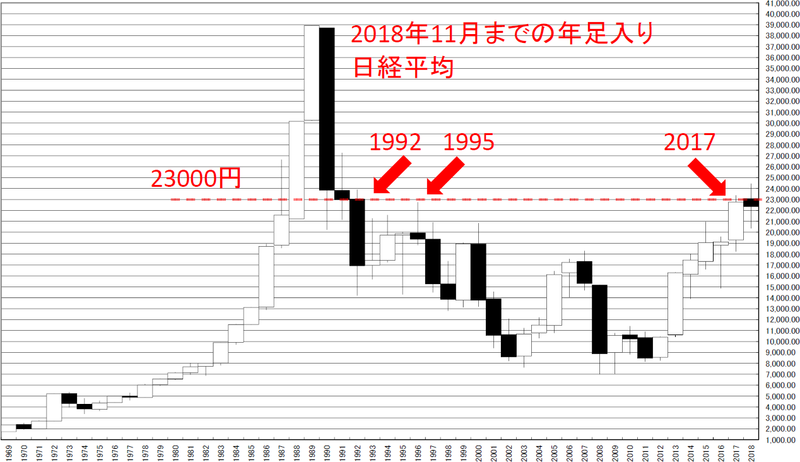 NIKKEI 225 annual No.16; Yearly open was 23073.73yen and if the close will get lower than it, next candle stick color will be black. Today, we analyze N225 monthly data after 1950. 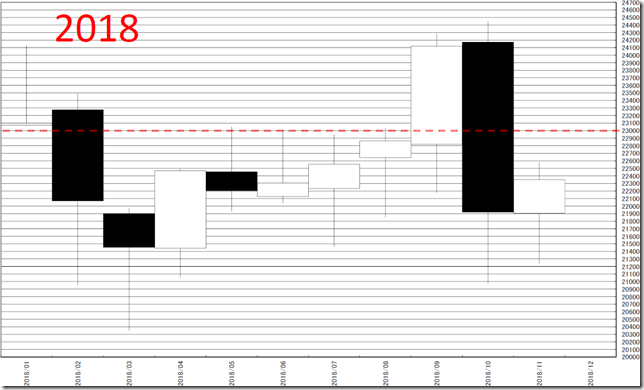 Our conclusion is we are watching the price will cut 23073.73yen or not in close price. 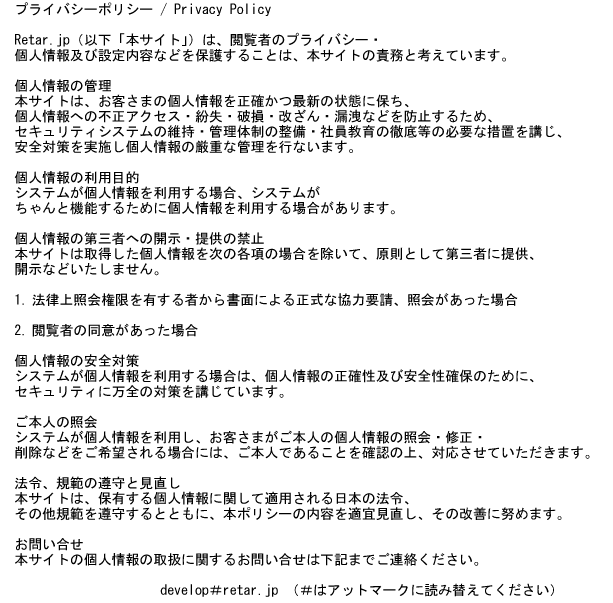 We reported “We will need to remind 22976.17yen in future! 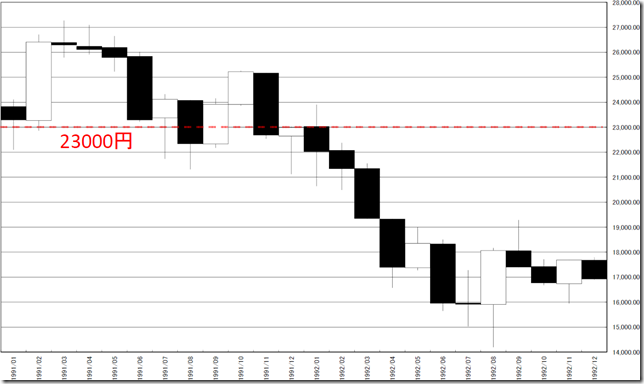 Our view will be based on the price will cut 22976.17yen or not” in 1/4/2017. All we want to say is this in word. In 1991-1992, the price run 23000yen around in yearly close. And 23000yen worked as resistance. In 1995, the price cannot reach 23000yen. 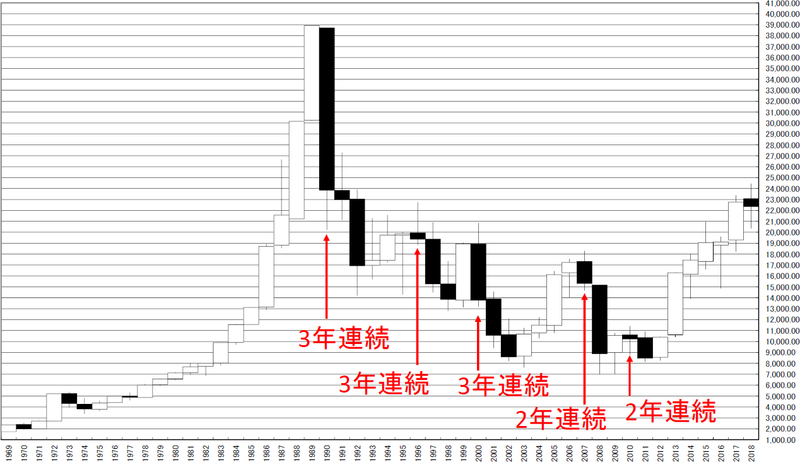 After Japan bubble, when candle stick became black, the next year also became so.